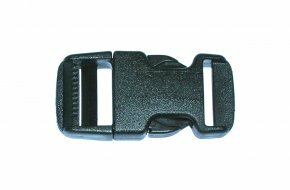 All forms of plastic strap buckles, hooks, shapes, rings and fittings ready for delivery from stock. Large Clingon quick clip eyelet in blue; Length 70mm, width 40mm and height 18.5mm. Photo is of item in black. Large Clingon quick clip eyelet in white; Length 70mm, width 40mm and height 18.5mm. Photo is of item in black. 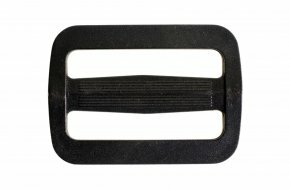 Jam lever buckle in black nylon with 20mm strap aperture. 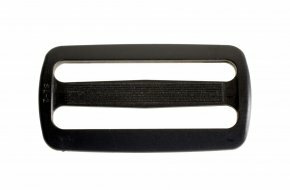 Jam lever buckle in black nylon with 25mm strap aperture. 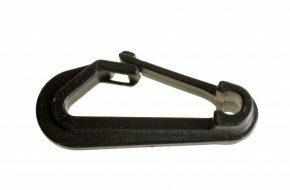 Jam lever buckle in white nylon with 25mm strap aperture. Please note photo is of black item. 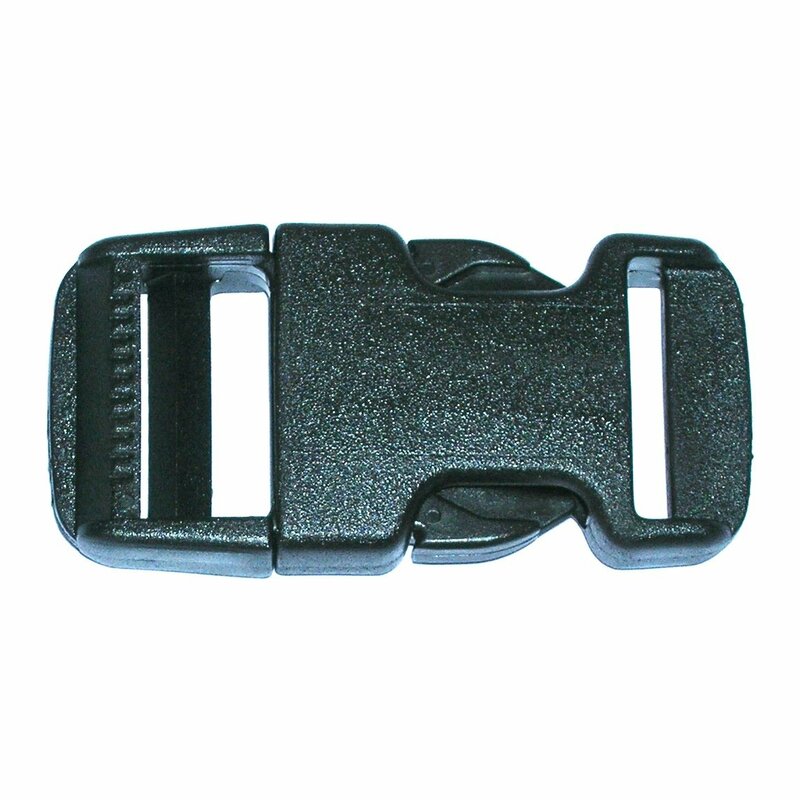 Slide squeeze buckle in black acetal with 25mm strap aperture. 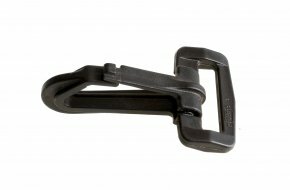 The LockMonster is the largest squeeze buckle that OPAS supply. Manufactured in black acetal with 50mm aperture. SlipLok in black acetal with 32mm strap aperture. SlipLok in black acetal with 50mm strap aperture. Heavy duty SlipLok in black acetal with 25mm strap aperture. 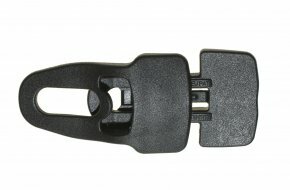 Snap Hook and Retainer manufactured in black acetal and supplied made-up with eye/aperture to take 25mm strap. Snap Hook and Retainer manufactured in white acetal and supplied made-up with eye/aperture to take 25mm strap. Note photo is of item in black. 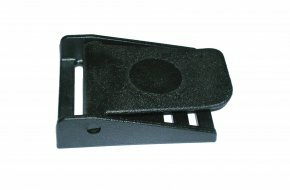 Snap Hook and Retainer manufactured in black acetal and supplied made-up with eye/aperture to take 38mm strap. 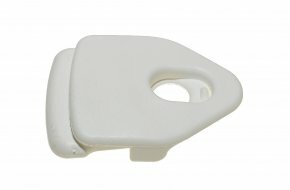 Feel-Safe snap hook manufactured in white acetal with overall length of 38mm. 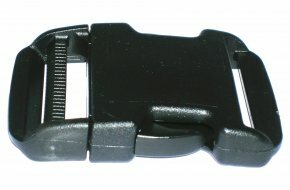 Photo is of item in black.